Creamy Avocado Pesto- Hello everybody, welcome back with RedHood Kitchen! Today i will share Creamy Avocado Recipe. 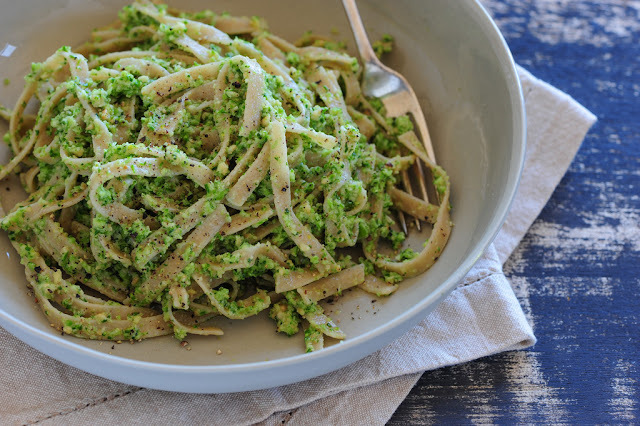 This Avocado Pesto is an easy way to please both the herbivores and carnivores in your life. pasta does not merely use meat rich in cholesterol and fat. creamy avocado can be your alternative to eat pasta with a healthy style. creamy avocado made from avocado that has many benefits for the body. Avocado help reduce bad cholesterol levels in your blood and lower your risk of heart disease and stroke. They also provide nutrients to help develop and maintain your body’s cells. Monounsaturated fats are also typically high in vitamin E, an antioxidant vitamin most Americans need more of. So Creamy Avocado have many benefits for us. lets begin! Fill a pot with oil, water and bring to a boil. Stir in pasta, and return to a boil. Drain penne and shrimp; transfer back to empty pot. Serve with about 2 tablespoons Romano cheese, salt, and black pepper.